Deep fried locust and in fact crickets, cockroaches and other creepy crawlies too, can be bought on most roadsides in Thailand and Cambodia. If you purchase fried locust from the right stall you may be pleasantly surprised, with the right amount of chilly or sugar if you have a sweet tooth, these crunchy snacks can be quite a delight. 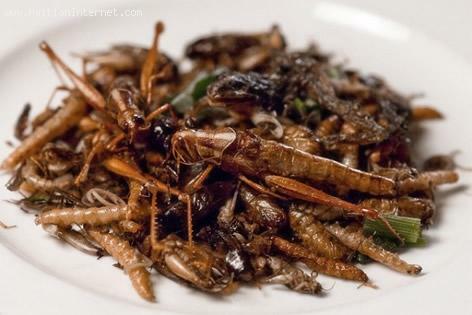 What might surprise you is that these fried insects are actually an excellent and cheap source of protein and are an excellent source of nutrients, especially in the developing world. Can Haitians Substitute Chicken for Insects? Hint: It's good for you!